You asked: What can I do to get more bookings? We went straight to the source for this answer: We asked guests what they look for in Airbnb stays, and we analyzed their booking behavior to find out what takes them from browsing to booking. It turns out that, after price and reviews, photography is the most important factor. In fact, 60% of listing views start with a guest clicking on a photo, and over 40% of the time when a guest chooses not to book a listing, the last thing they clicked on was a photo. So photos matter, and they should be as good as possible. Check out our tips for taking great photos using your phone or camera, or if you’re ready to take your listing (and booking success) to the next level, consider professional photography. As a lot of you know, Airbnb can connect you with pro photographers in locations around the world. You can request a photoshoot at no cost up front; the service fee will simply be deducted from your future bookings. If Airbnb’s pro-photography service isn’t available in your area, consider hiring a photographer that specializes in interior spaces. Once you have photos that really do your place justice, it’s time to give potential guests some more context. Great photos need great captions. And guests really do read them. Captions are your opportunity to do two big things: direct potential guests’ attention to the unique and compelling perks of your place and help set expectations. So don’t just show them a pretty bed, tell them how comfy it is. Describe what they can’t see for themselves—that the tiles in the bathroom floor are heated, for instance. This is your chance to help guests imagine themselves in your space. By taking the time to show and tell travelers how great your place is, you’ll attract more interest. Your attention to detail in your online listing suggests you’ll be a host who cares about the little things that count in person. View this and other answers from the Host Q&A here. That's great for those that want to do the professional photo. I am a super host. I choose not to do the photos. I feel that the professional photos make a space appear more than what it really is, and lead to false advertisement. I want my space listed to be authentic and for expectation to meet reality. @Lauren I laughed, but could not agree more. When we listed our house and I saw the photos I panicked. OMG people are going to come and expect THIS? And when in reality it was not as nice as the photos. I would rather people be pleasantly surprised, than bitterly dissapointed. There are severals pictures in my listings that have been marked by Airbnb that need work. Too dark or blurry. In one case the furniture is dark leather - so yeah, it's dark. Another was of white towles and I guess it looked blurry! Their bot doesn't destinguish artistic shots. I do not use professional photos in my listings. I prefer to use my smart phone camera feature in all my shots and work at using existing lighting and staging to give a more accurate view of what the guest will get. I think my pictures are good representations of my listings without being over done. The one thing I don't want is to have a guest enter my units and feel let down. My reviews are quite specific in the details that my guests share. I do use the photos to show there is a share bath/shower. The only options are private half bath or completely share. My guests have their privacy for most bathroom events, but we share the shower. A guest once came in who was from France and she was like "oh like in France." Photos are good to display this kind of detail, but a more accurate system would be even better. Aside from using a professional photographer, where are the tips for getting more bookings? I feel like Airbnb is trying to steer me in the direction of using their photographers, under the guise of giving me helpful advice. We paid for Airbnb professional photos for our first property and they were great. The were an accurate representation of the property. i couldn’t wait to see the Airbnb professional photos for our second property. The quality of photography was not even close to what the first photographer produced. i called the Helpdesk to inform them of my displeasure. The answer was: sorry no reshoots. In essence, spend the money, Airbnb randomly pics a photographer and it is just luck if you get high quality detailed photography. Not very good customer service for a super host . Airbnb should take feedback on photography seriously especially when telling hosts how important pictures are. I hope this policy is revisited. At a bare minimum hosts should get to rate the photographer AFTER we see the photos. I have been hosting now since 2012. Initially when we got started to encourage us to host Air bnb sent a proffessional photographer to tak the pictures free of charge. They used techniques I wouldnt have thought of (not being a great photographer) I have added my own ( not such good quality) but they are a fair representation of the property in all weather and different sceanrios, along with pictures of the surrounding area and our village in different weather such as in the snow. I have updated some of the interior and since doing so I often get guests say the photographs do not do it justice. I do feel its better for guests to have the expectations exceeded on arrival so they immediately feel positive about their arrival and not dissappointed. I could have my photographs updated as I have superhosts bonus's that can be used but have chosen not to at the moment as we have done well with the ones we have. AirBnB want bookings, they don't care about a hosta's review - they want $ on the table so they want your place to look better than the Booking.com place. I am not sure if It's always better to undersell than oversell. Due to the new review process I now undersell big time. I removed 15 photo's and left only 18. I had alll my amenities listed in detail and have since remove them from my description. They are still checked off on the amenities list, but not explained anymore. I am a higher priced listing because of my amenities being high end. I am going to try this method for the next few weeks, if I don't get bookings I'll put them all back online. You can find out a lot of them from my reviews, so if anyone bothers to read them they'll have an idea. We have been Superhosts ever since we started hosting in early 2014. We have never used professional pgotography and we never will. The professional photography service provided by AirBnB does not provide the host with a genuine, informed ability to find the best local photographer to best depict their property. We agree with several of the previous comments that this article appears to be purely aimed at encouraging hosts to generate more income for AirBnB rather than actually provide a service that is in the host's best interest. The article does not actually provide any tips and recommendations for increasing bookings, so the article is genuinely misleading. If you want to have professional photos of your listing then go for it, but at the moment you are better off researching photographers in your area yourself and that way you can also be sure that you are not paying (as with AirBnB's photography service) for something that may end up being completely unacceptable and unrealistic, with no recourse to recover your money. Professional photos, for the most part, present an idealistic and unrealistic image of the property. We want our guests to arrive at our stunningly beautiful property (actual comments from guests!) and then walk into their AirBnB accommodation and be blown away by how fantastic it is in 'real life' rather than feel their expectations have not been met because of professional photos. AirBnB please take note: the hosts who choose to list with you are your lifeblood and without us you have no business model at all. If you are going to persist with offering a professional photography service then you need to change your approach and provide hosts the ability to reject unrealistic and idealistic photos at no cost, and to reject genuinely poor photography at no cost: other booking sites have a reasonable and open approach to negotiate with hosts on an on-occurrence basis when there is a problem and before deducting a fee from the host, so why is AirBnB so stringent that the photography fee must be paid by the host when the resulting photos are unrealistic, poor quality or unusable? I'm sure this would happen in only a minimum of instances, so why isn't AirBnB prepared to wear the risk and the cost when a photographer AirBnB has proposed to a host is really not up to the job? Isn't that what you have business insurance for? Isn't that just one of the costs of AirBnB doing business? A more flexible approach on your fee policy for this service would likely see many more hosts take up the option, and to the benefit of the AirBnB business, the hosts and the guests. 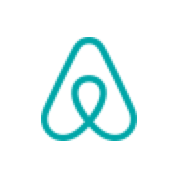 We hasten to say that overall we are immensely pleased with the service we receive from AirBnB as Superhosts. We offer the above comments to hopefully engender some thought about how AirBnB can improve its business model to the benefit of the company and hosts, and lets not forget the all-important guests who want to be sure the property they have booked really looks like the photos. I've taken my own photos for our listing and they seemed to have served us well tho this year hasn't been as busy as last. I look at my pics periodically to see with fresh eyes if they're as good as they were when I loaded them. I'll continue to take my own but may use my Nikon next time. Lovely to meet you. Thanks for sharing your thoughts on photography here. I think as a host it is completely up-to-you as to whether you wish to include the photos you have taken or the ones from a professional photographer. We know that quite a lot of hosts like taking their own, but some would like to have a few pointers now and again. This is why we create a post sharing some great tips on how you can take great photos, using your own phone (included in the piece above). I used to be a hotelier and I found i disliked professional photogrphers work as they take 20 shots of a room each time using a different light. Then they would merge them, this creates glowing pictures with impossible to recreate lighting.I have always hated looking at hotel shots and being dissapointed when getting there. I with experience learned to identify "false" photos by looking at the engles of light coming from their sources. I found the solution that worked for me was to hire a professional but to insist that this creative lighting and colour sautration was not done. The maximum i allowed was a bit of soft back light(behind the camera. I also requested that little or no colour sturation used on garden and sky shots(which meant waiting for a sunny day but we have lots). When we retired we carried this policy over to our two holiday villas. The result is well taken shots with great angles and depth(because taken by a professional) that highlight the villas,combined with great customer responses saying "looks just like the pictures"
I also try and send short(home made) video clips to the guests. It would be great if ABNB allowed little 10-15 second video clips so we could truly highlight each part of our villas. I totally agree that good photos are very important for a successful listing. And as a guest, they are key in my decision making. I've been with Airbnb since the days when they offered free professional photography. Which I used to support local photographers. However, my experience was that in the end many of my own photos were better, and more disturbingly, the professional Airbnb photographer actually photoshopped out details that are important in giving an honest and real representation of the space. So keep it nice, but real. Better photos- really? How about if airbnb stops trying to undersell my rental with pressure to lower my rates? I've seen another neighborhood succumb to this pressure and now they're renting for $35/night! Come on airbnb- how about figuring out ways we can increase our revenue instead of you increasing yours with the "better pictures" upsell? I have a mix of professional and my own images. I learned a lot from the pro work, including the wonderful Airbnb photographer. I am here all the time, so I have a chance of capturing that spectacular sunset, the light on the garden, and the latest change in decor. Keeping my photos up to date is a creative process, not an end result. How does the additional $ for extra guests affect bookings? E.g. I have a 2 bedroom, and sometimes guests come and only need one bedroom, so I have a $20/pp fee for guests above 2. Would I be better off to have a higher base rate price? It would be great if Air bnb would introduce a "extra room" fee instead of extra guest fee, as sometimes 2 people will stay in a 2 bedroom and use both bedrooms, so still need to clean both bathrooms and both bedrooms (same as 4 people). I am superhost also, not agree that the photos aren’t important, I can 100% tell that photos are so much important, even when Someone ask me what can i do to get more bookings I always tell them take the great pictures first and then publish the listing. I have 4 apartments for rent and all of them made by professional photographers. Many of my guests mention that the apartment are exactly as in the photos. I’m new to Airbnb and just became a Superhost (Yay!) and we have used a mix of professional and our own photos. The local pro was excellent and did a better job than I did in capturing an accurate yet flattering look of the space. So far guests have been very pleased. In my mind correct staging of the space has to be just as or more important than the actual photo quality. My place is pretty sparse right now because of my personal situation, but when I've looked at booking I'm definitely attracted to listings that have nice decor touches......that's where I plan to invest! Wasn't one of the "future options" for Superhosts to have new professional photography as an option vs. another travel coupon? Photography is available in my area and yet, I can't choose this "benefit". It would be great to have new pictures taken now after 3-1/2 years since our last professional session. Things have changed in my home (like our old pictures have our now deceased old dog in one of them - people ask about her all the time, it's really awkward), landscaping has changed, we swapped out some furniture, added some art, and yet, even if I wanted to pay, I can't go through Airbnb. They won't even give me a list of names of the professionals they use so the quality would be the same as the ones they are taking for other hosts. It was just more platitudes and promises from @Chesky that have never come to light. Great to meet you and thank you for your feedback here. In regards to pricing suggestions, this is something that is asked about quite a lot here in the Community Center. A response and update on pricing was spoken about at the recent Host Q&A. I wonder if you have watched or read the information on this? Take a look here if not (question 7). In terms of the option to choose between travel credit or a free photography session, I do believe this is available now. When you go to your Superhost page (when logged in), are you able to see this benefit option at all or only the travel credit option? I have been a super host for 12 straight months. I am a photograper. I still prefer my iphone pics...I am always booked so I know they are working and I love that gasp when they open the doors of their rooms. What a nice way to start your stay as a guest , happy at your selection, more then you thought you might be. Here is my tip for being a great host. Its all starts with the bed...I am shocked at how sloppy and small most beds are in listings similar to mine. The thing the guests will use the most is the bed. Invest in a good one. I even hacked mine with an added platform so it makes no noise and does not move on the floor. I have a King size bed. This means more bookings...and people not in couples often book and use the wedge pillow. I just booked some places for my trip...it was the bed size that made or broke the deal. I am not going to squeese into a double with my husband in a hot climate. Queen or King only. BTW - the Community Forums are super, super buggy right now. I cannot select @ options nor can I "reply" to any post. I'm sure I'm not the only one. So Airbnb has determined that guests book based on looking at pictures, reading reviews, and looking at the price. And they think we should be pleased with this information, and respond by working on our photos. What is evident in this information is that the last thing a guest uses to make the determination as to whether to book a place is READING THE LISTING DESCRIPTION TO SEE IF IT WILL MEET THEIR NEEDS, which seems to me to to be the most important factor in ensuring that guest/host is a good match. This is one of the main issues for hosts and failure to thoroughly read the listing information is what leads to guests complaining about things that were never promised in the first place, cancellations, refund requests, etc. Perhaps instead of pressuring hosts to use professional photography, they should be pressuring guests to read the listing descriptions instead of behaving like children and only looking at pretty pictures. I have been a Superhost for awhile now and was looking forward to the professional photography option. It finally came up on my listing and when I decided to use it the option was taken down from my listing. I called SuperHost Customer Service only to be told they made an error by placing the option on my listing. Even though I expressed my desire to have a photo session they didnt offer any options to make up for their mistake. I was hoping to at least get the names of the closest photographers that Airbnb might have availble in the next city or so. However, nothing I was left disappointed. Left a bitter taste in my mouth. A lot of guests said that they where convinced to book at my place because of the many positive reviews on my listing from previous guests. Im now considering to have a proffesional photographer to take pictures of my apartment. Im so curious if my listings will stand out even more. Great thanks for the many tips from Hosts and AirbnB! Sorry for my delay in coming back to you, I just wanted to double-check on this. So yes, if you have retained your Superhost status for 4 consecutive quarters, like with receiving your Superhost travel credit, plus if you are in an area where free photography is available you should see this option on your Superhost rewards page. This benefit is live now. From what you have said both of these apply to you, so I would actually recommend contacting our Support Team so they can have a look at you account. I hope this helps and you get this sorted. We used professional photography for our space through Airbnb, and the pictures look amazing! When we recently completed an addition, I took my own photos of the new space, but am planning an additional professional shoot once some final pieces arrive to complete the new decor. That said, guests say that the house looks even more amazing in person, so in my mind, that's a win-win! The professional photography through Airbnb does not allow for additional lighting other than natural light, so the images are pretty true to form. I would say what leads to more bookings is having a well-designed, clean and organized space, with good reviews, good value, and a good response rate. Also, maintaining an upbeat tone when communicating with guests is helpful and brings out all around positive vibes on both sides. I also ask for feedback on any improvements in a private message as it lets guests know we care, but at the same time gives us a chance to get things right. There haven't been too many suggestions as I am a bit of a perfectionist, but the ones there have been I have taken very seriously and implement right away. I genuinely want to provide a good experience for our guests and I hope that shows! 1. The washing machine. I want it in the unit and not somewhere else in the building. 2. The master bed. We have to be able to exit the bed on both sides. 3. The kitchen. Can we actually cook in it? 4. The bathroom. How large is the shower? 3. TV - we never turn it on. Photos do NOT have to professionally shot, but they ought to be OK. Fuzzy, dark photos are just not acceptable. We have been a super host for number of years and recently had the airbnb photographer take the photos which were more than happy to pay phone. When the ad BMB Photographer arrived she said she could only take a maximum number of shots. It is important to note that even though you have paid for and maximum number of shots Airbnb curates / approves the shots prior to upgrade loading them. I didn’t like and number of the shots for different reasons and asked AIRBNB that the specific photos be replaced with other shots taken on the day. This was declined by AIRBNB and given no reasons why .... even though it was myproperty, their photographer and I paid for the shots I was unable to select alternative shots from the package. I earned the professional photo shoot as a gift for being superhost for 4 quarters: The pictures definitely led to more bookings and yet, one person complained about the "outdated representation" and gave 3 stars in Accuracy. So get the pictures, know there will be bad customers and hope there will be few of them. I read this post hoping to get some other tips besides making your place look nice in photos. Bookings have taken a very hard dive and I have a suspicion that there are other things at play. just updating the listing has been said to help but I would actually like Airbnb to step forward with these tips in a forum like this. in addition, I have thoughts that Airbnb as a platform is dwindling in popularity as word of the nightmare scenarios spread. For instance, I’m taking a trip soon and will probably stay in a hotel for the first time in a long time. ‘What are the real reasons our reservations fall off, Airbnb? @Jess The only reason I can imagine that your bookings have fallen off is that perhaps there's a lot more competition in your area? I looked at your listing and your place is so sweet, you have great reviews, and your listing description is personable and complete. And one thing I never see mentioned is that perhaps the economy has something to do with it- people maybe don't have much disposable income these days, or are worried about the economy, are therefore not travelling as much, or vacationing closer to home. So aside from holiday times like summer, Xmas/New Years and Easter, that could be a reason that bookings are down. Hi, My guests before said your apartment is beautiful, but your pictures won't do it, So I decided to hired a professional photographer and I am very happy with the results. Now, guests are saying one thing they decided to booked my place, are the pictures and that they justify the place. Now I get more bookings. I will never go back to my own pictures. That is a nono. There are several pics that have been marked "dark" or "blurry" but were taken by your professional photographer, fyi. You don't take those down do you? What do you recommend? I recently took advantage of ABnB's offer to use an experienced photographer, it was really worth it. I have a photography background but the new shots were a real improvement on what I thought were adequate pics. I recommend you invest in your future. If Airbnb hosting tips isn’t what you are looking for you, then check out our kitchen, bathroom, bedroom, and living room essentials. Be Upfront – Every city, building, the landscape has difficulties. Whether your Airbnb has 100 steps, the toilet clogs or your wifi is choppy. Let your guests know exactly what to expect before arriving. If you’re upfront then your guests know what they are getting into and will be ready for any surprises. Have Your Number On Your Guests Keyring – Some Airbnb hosts won’t feel comfortable adding their full address onto the keyring. We suggest only adding your phone number due to privacy and it normally fits nicely onto the ring. Be Flexible With Check-in and Check-out times – It is definitely tough to be flexible if you have same day turnovers. Changing your bed sheets, wiping countertops down, and vacuuming takes time. If one guest checks-out at 11 pm and your next guest checks-in at 3 pm, things can get stressful. We have had many guests ask to check out later then what’s in our Airbnb guidelines. We try to keep them happy. How we manage this is by automatically blocking off the next day for cleaning and preparing. To be honest it saves us from scrambling last minute or rushing home to prepare for the next guest. The only downside is the potential profit you would lose. Read All Guest Reviews – By reading your potential guest reviews, you will find out instantly if they have misbehaved during any of their previous stays. Airbnb host reviews are normal very honest. Response No Matter What – Regardless if it’s an inquiry, spam, or a simple question, just reply. A simple “No” is adequate and not replying at all will affect your response rate and could stop you from getting Superhost status. Give New Guests A Shot – Every guest has to start somewhere and at the beginning, this will mean no previous reviews. Give those guests a shot, but remember to ask them further questions. Message them via Airbnb App asking politely “what are you coming for?”, “is this your first Airbnb stay?”, “what time are you planning to arrive?” or “who are you bringing with you?”. These questions will get you a better feeling on if the guest is good for your Airbnb. Get A Co-Host – If you have a spouse helping you with your Airbnb then great. We would suggest getting a co-host to help with at least the messaging. It can be overwhelming replying to all the inquiries and messages, especially if you have multiple properties. A co-host can also help if you ever travel to a country where you have no data…. or just want to enjoy your vacation in peace! With the recent Airbnb updated, you don’t have to share profit revenue if you choose to. Go One Step Further – For us, when our guests check-in we leave them one bottle of water per guest in the fridge and one beside their bed. We also have a fruit basket ready, which has got us many compliments. You don’t have to do this exactly, if some of you guys have a gym membership, offer that for your guests to use. Another idea would be handwriting a personalized note before your guest checks in. Whatever it is, your guests will feel welcomed. Share A Meal, Story, Coffee, Or Drink With Your Guests – This really depends on what vibe you are getting off your guests and if you are living in the same property. Some guests want complete privacy, others would love to share stories and enjoy your company. This will change from guest to guest. Give Your Guests Space – On the same topic as sharing a meal, on the other spectrum, if you get the vibe that your guest is introverted or shy then give them space. Do not push to have an awkward conversation, which your guest will most likely hate. Let them have privacy.